Today I worked as an instructor for the Ferrari Driving Experience - Ferrari's official and only driving school in North America. Normally based at Circuit Mont Tremblant in Quebec, Canada, todays program at Palm Beach International Raceway was a special event for the PGA golfers in town for the Honda Classic, hosted by Ferrari North America. We had beautiful weather, met some really nice and well-known professional golfers, and of course drove some seriously beautiful machinery - including the Ferrari California, the Ferrari FF, the iconic 458 Italia, and not on track but looking AMAZING were an Enzo and the new F12 Berlinetta. Here's a few pictures from the day today. 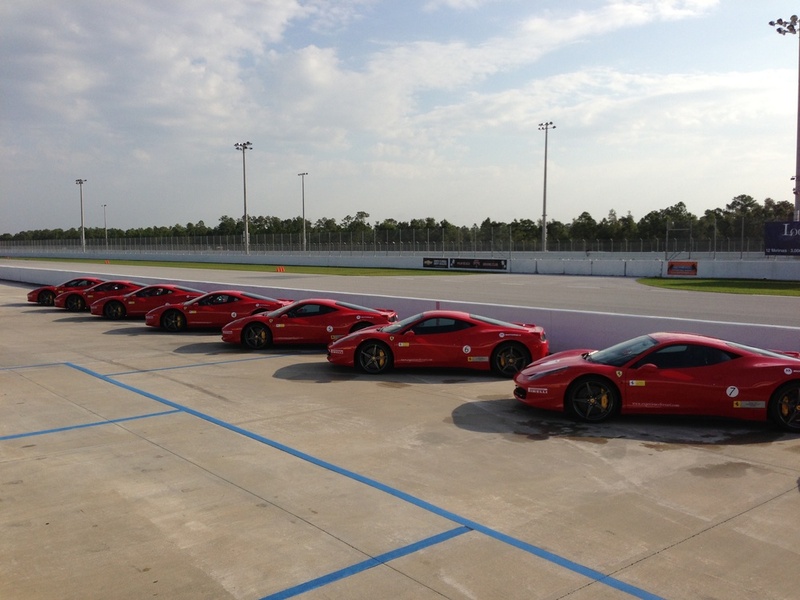 I hope you Ferrari Tifosi enjoy them!